Raising Hill: Baby On Board! And we couldn't be more excited! We're due in mid-August and it can't get here soon enough. The babies will be a little over three years apart, which I think is the perfect age difference for our family. Mila's still not sure about this baby business but I know she's going to be the best big sister...at least that's what I'm hoping for. 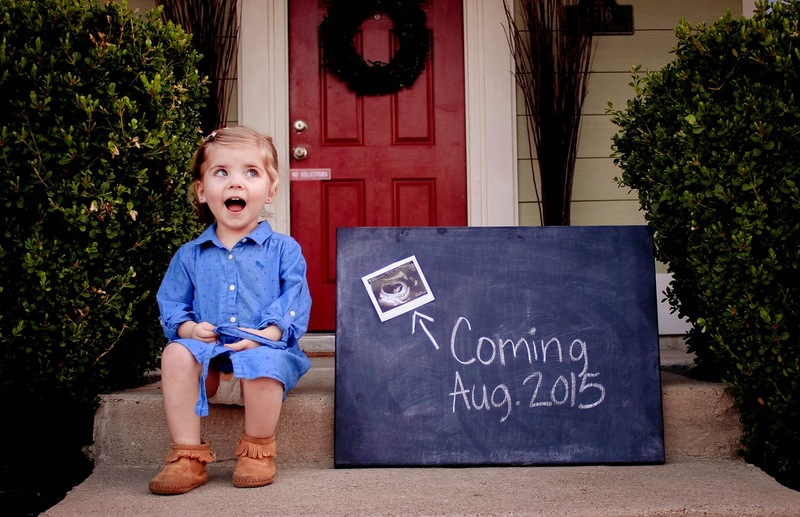 More details about baby #2 coming later this week! Get excited.